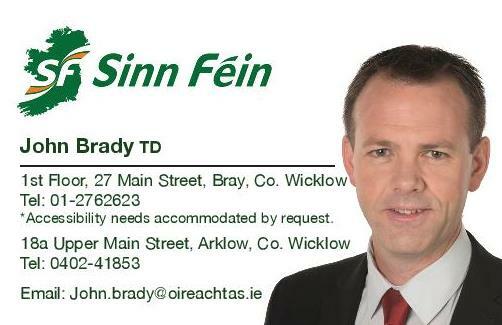 Sinn Féin spokesperson for Employment Affairs & Social Protection John Brady TD has welcomed Minister Doherty’s announcement that fuel allowance recipients will receive a double payment this week. “I welcome Minister Doherty’s announcement this morning and the U-turn from Government to provide an additional fuel payment as called for by Sinn Féin and others yesterday. “It is absolutely crucial that nobody is left cold in their homes out of worry for increased fuel bills during the cold weather. “I would call on those with vulnerable family members or neighbours to make sure that they can collect the fuel allowance payment. There are also a number of homes where meters are used and older people in particular, may not be in a position to get to the shop to top up their meter. Family members and neighbours should be mindful of this. “I would also call on Minister Doherty to consider putting protocols in place for future weather events where temperatures drop dramatically. We should be looking at providing additional fuel payments to people at these times. The uncertainty, panic and worry experienced by the most vulnerable in society yesterday should not have occurred and it should be prevented from happening in future.